30% people also have a CYL power. Cylinder is an angular defect and it is prescribed with two variables – CYL and AXIS. If you have a CYL, you will have an AXIS, else none. This is for people who have both distance and near vision problem. 10% of people have this. 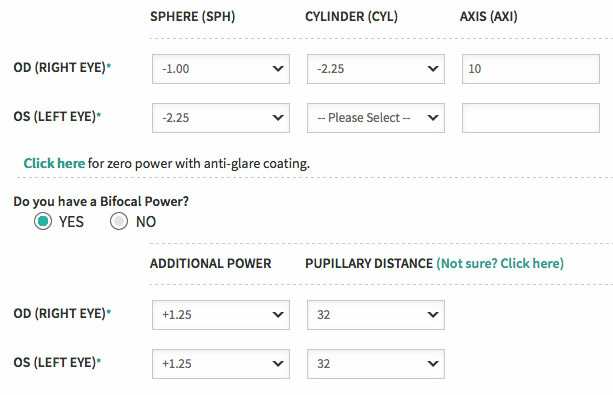 And only if you want both powers in one specs, you need to go for this option. This power has a new variable “ADD” (Additional Power) which specifies the near spherical power. 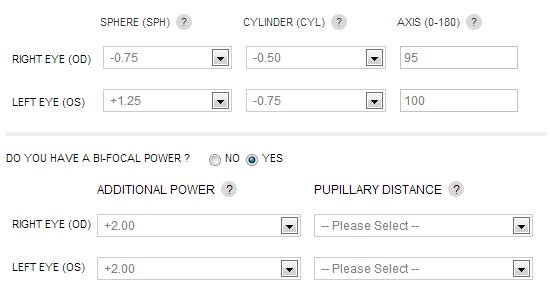 In case you want only near power, you can fill in ADD value in Type 1 above. 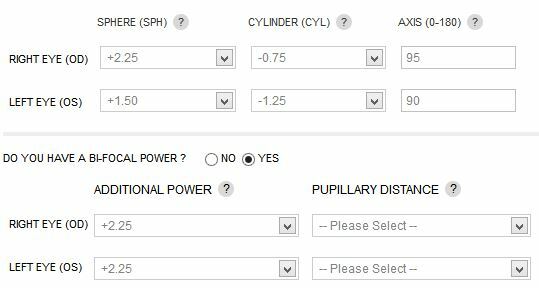 In case you want only far power in specs, you can again go for Type 1 or 2 above without the ADD power. eyes equally. For example for 64 PD value, we have filled 32 and 32. 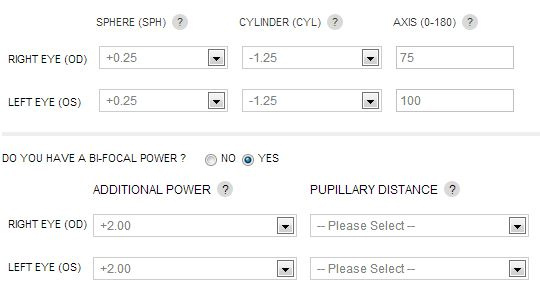 In case doctor has specified these separately for each eye, you can fill them separately. If your prescription is quite complicated, simply choose to upload it under the upload your prescription or choose to have oneof our optical experts call you for the power under the "Need Help" Section.